The latest round of records related to former president John F. Kennedy's assassination was released on Thursday. The National Archives released 13,213 documents to the public as part of the President John F. Kennedy Assassination Records Collection Act of 1992, informally known as the JFK Act. The files are accessible online. Most of the JFK records part of Thursday's release were previously available, but in redacted form. A preliminary round of 3,810 documents were released on July 24. 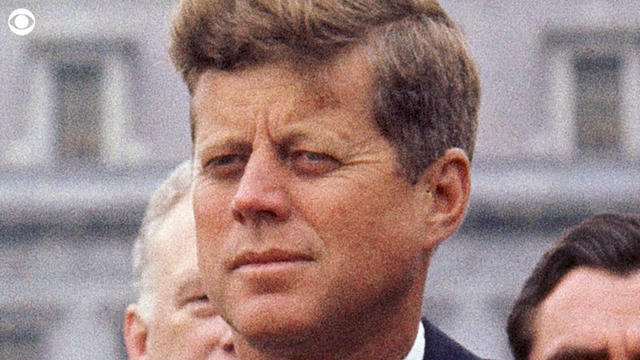 President Trump ordered the release of all of JFK documents on October 27, one day after 2,891 more records were released. "I am doing this for reasons of full disclosure, transparency and in order to put any and all conspiracy theories to rest," the president said in a statement he posted on Twitter. In the statement, Mr. Trump also said the decision was informed by his consultation with chief of staff John Kelly, the CIA and other agencies related to the documents. On November 3, a third round of an additional 676 documents were released. The newest batch of records in Thursday's release were prepared by related government agencies prior to October 26, but has yet to be re-reviewed by these agencies or reviewed by the National Archives in accordance with Mr. Trump's direction. Any information found within the JFK assassination records that agency heads believe "meets the standard for continued postponement" of public release must be disclosed to the Archivist of the National Archives before March 12, 2018. By this point, the archivist will determine whether this information should continue to be withheld, and provide a recommendation to Mr. Trump by March 26, 2018.